I visited Peru back when I was at university and have to say that I wasn’t struck by the cuisine. I discovered the delights of quinoa (which back then was not the Whole Foods staple that it is now) and ceviche while lazing on the beaches of Mancora but I definitely remember that for the main part most of the food I ate was heavy, greasy and pretty flavourless. And there were particular local delicacies I would definitely rather forget (guinea pig anyone?!) 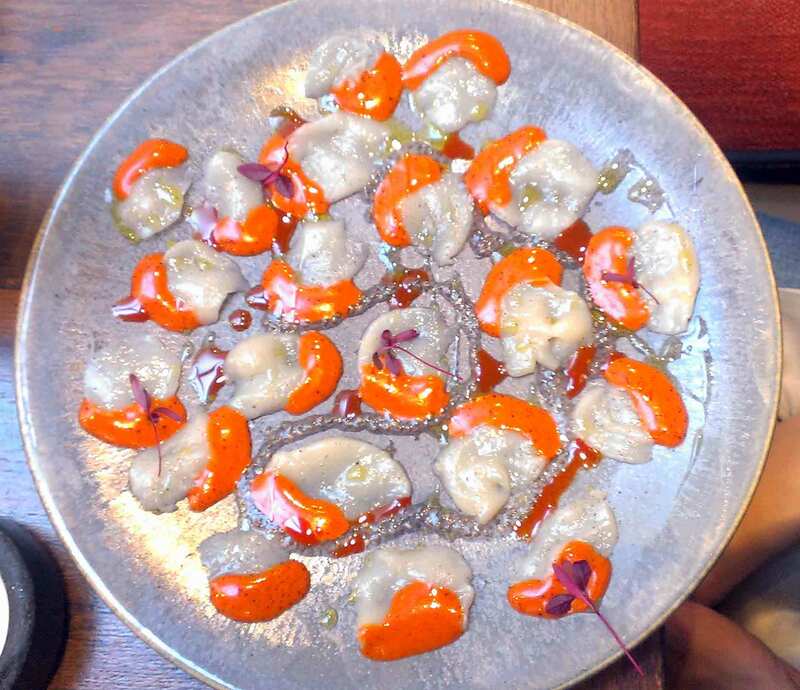 But despite my reservations I was intrigued to try Lima Fitzrovia – especially given the restaurant was quickly given a star by the Michelin guide. Lima is a tiny restaurant located near to Tottenham Court Road tube – the vibe is relaxed, fun and colourful (from the food to the decor to the clientele). Despite being a bit cramped the restaurant is light and airy and accented with beautiful artisan details. We started our meal with a cocktail as the list was just too tempting. 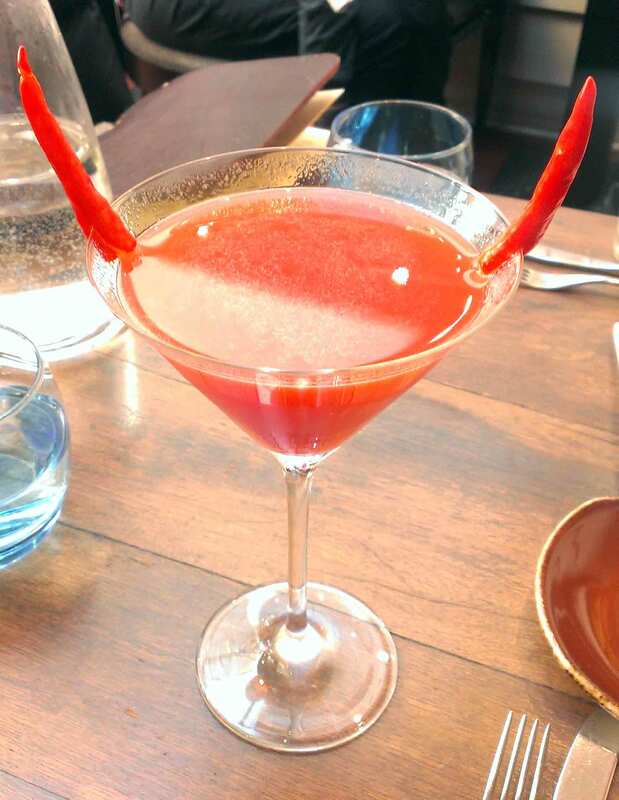 Given I’m a chilli fiend I opted for the Cuento del Diablo – delicious mixture of chilli infused pisco, triple sec, strawberry lime and grenadine which had just the right balance of kick and fruitiness. Given what was to come, I was glad that they didn’t go overboard with the chilli – I would have been very sad if I’d knocked my tastebuds off and hadn’t been able to taste the deliciousness that was my meal! Given my experience of Peruvian dining to date (i.e. said backpacker experiences) I wasn’t really sure what to expect when I opened the menu, but I was tempted by almost everything! After much deliberation I opted for a few starters (in an attempt to try more dishes rather than limit myself to just one starter and one main!) 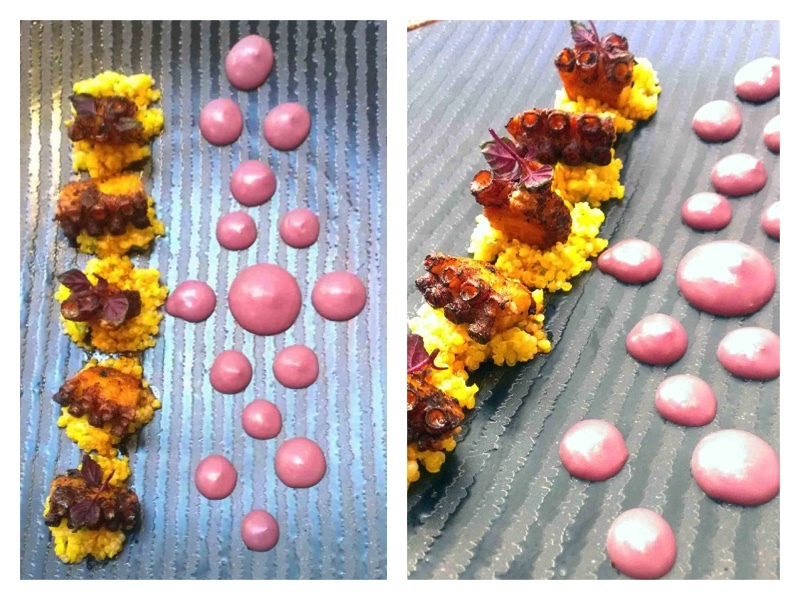 The perfectly cooked braised octopus (which you can see above) was tender yet had a great crispiness. 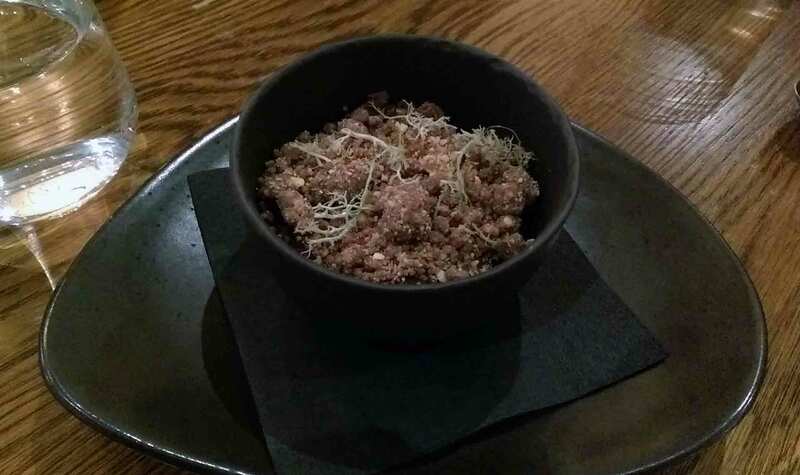 It was served with quinoa and a botija olive sauce that practically smacked you in the face it was so full of flavour. I also had the hand dived scallops with rocoto salsa. This sadly isn’t on the menu anymore although I’m sure the new scallop dish is just as delicious. The scallop was cut so thin that it melted in the mouth and it was a serious testament to both the quality of the ingredients and the skill of the chefs that the piquant sauce didn’t overpower the delicate flavour of the scallops – the balance was just right. 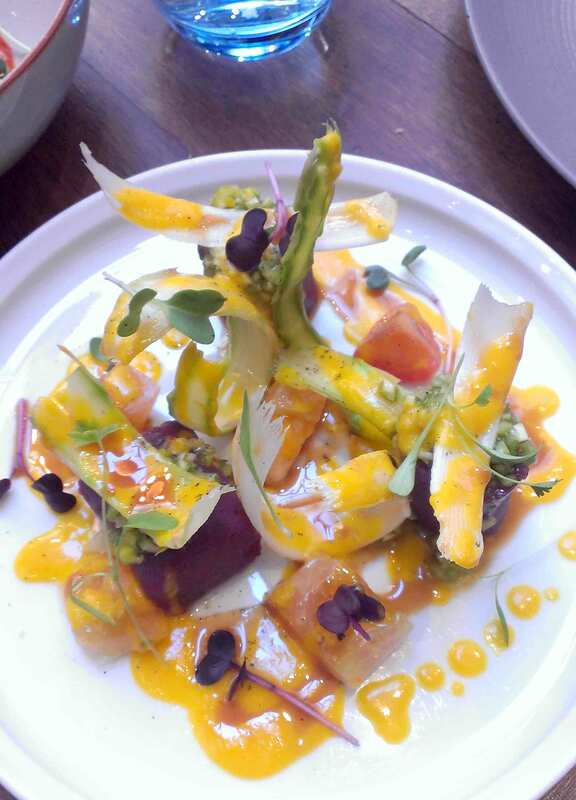 The final dish that I ate was asparagus with a tree tomato emulsion, Andean sweet potato and red shiso. For those vegetable sceptics of you out there I would not overlook this dish in favour of all the meat and fish on offer. The contrasting textures of the al dente asparagus and the smooth mashed Andean sweet potato was incredibly satisfying. And the dish was as bursting with flavour as it was with colour. I hadn’t tried tree tomato and it had such an intriguing flavour – tomato-y but with notes of something sweeter (passionfruit maybe?). I ate my desserts with way too much gusto to get my camera out – but they, as with everything else, were innovative and delicious. In fact, all of the food we ate was light and yet full of flavour and so beautifully presented. 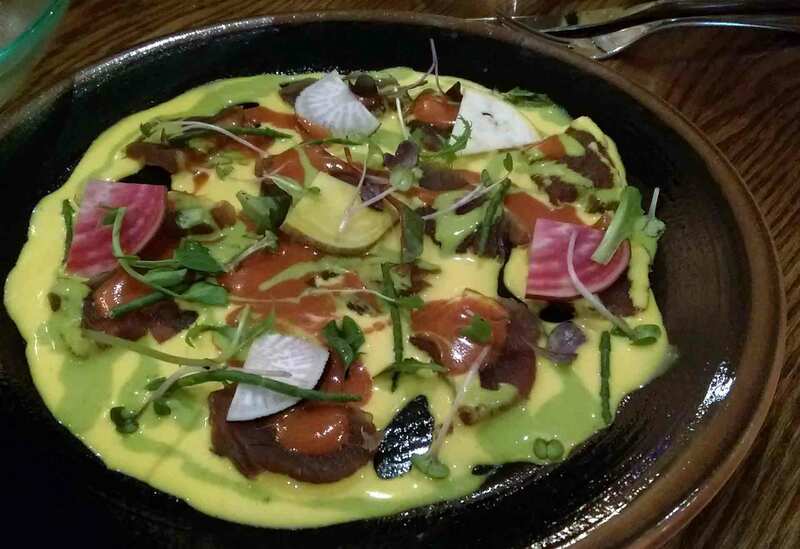 It totally changed my view of Peruvian cuisine. 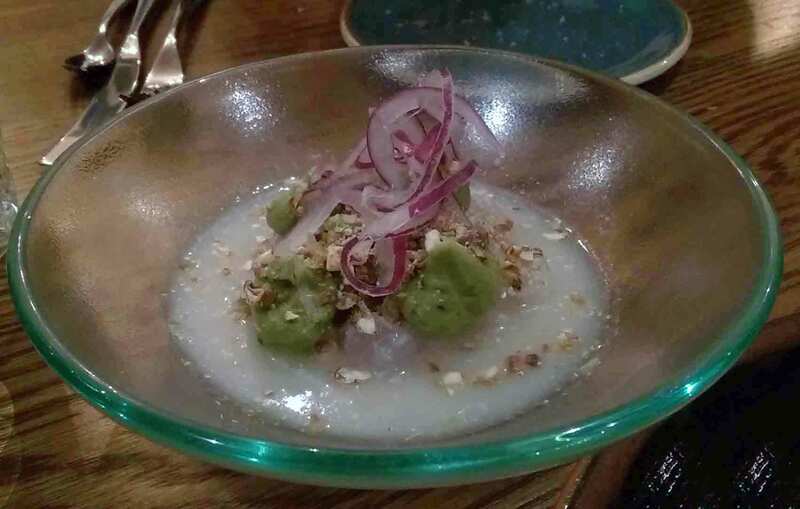 Lima Floral takes lost of elements from his big brother but the menu incorporates some of the more unusual Peruvian ingredients and aims to introduce the diner to the cuisine of the more remote parts of the Peru. The decor is still colourful and welcoming (think vivid blues and amazing wall murals) but as the restaurant itself is much bigger I felt that it slightly lacked the warmth of Lima Fitzrovia. 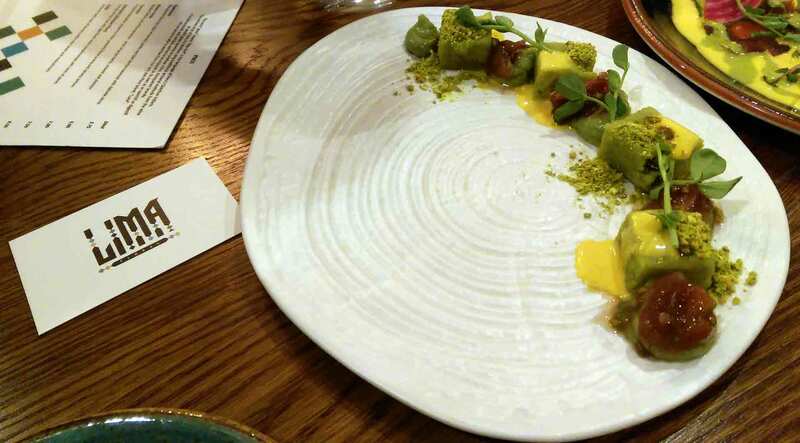 We shared a selection of starters including green causa (avocado with uchucuta (an indigenous hot sauce), muña corn, tomato seeds and yellow tiger’s milk (a kind of citrus marinade)). 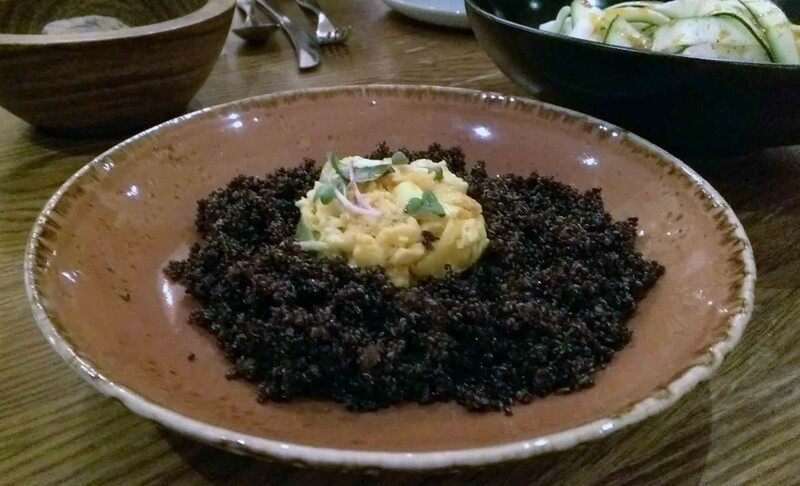 I really enjoyed this dish – there was something so comforting about the textures (the corn was prepared in a way that reminded me of mashed potato except that it had so much flavour). We also had the tuna nikkei. 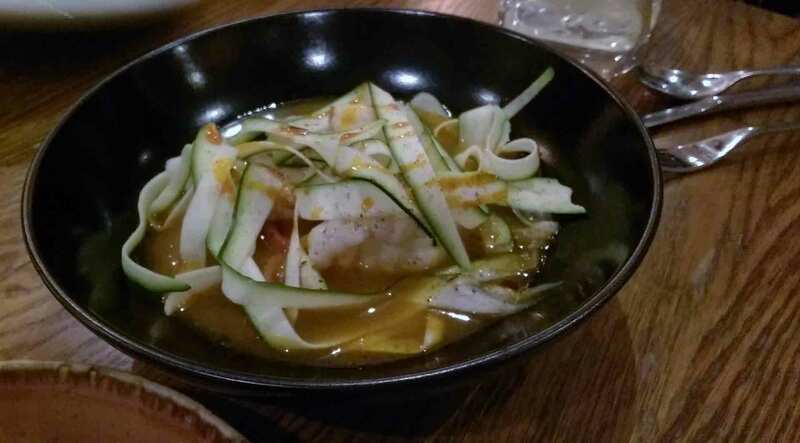 The fish itself was delicious and the crunch of the radish was a great addition but I felt that some of the flavours got a bit lost in this dish – all the sauces kind of blended into one and I couldn’t taste the sea asparagus at all. Despite probably being the least photogenic, the sea bream ceviche outshone the other starters. Meaty, fleshy chunks of fresh fish soaked in tiger’s milk with perfectly ripe avocado and some crunchy onion slithers. It sounded good on paper and tasted even better. 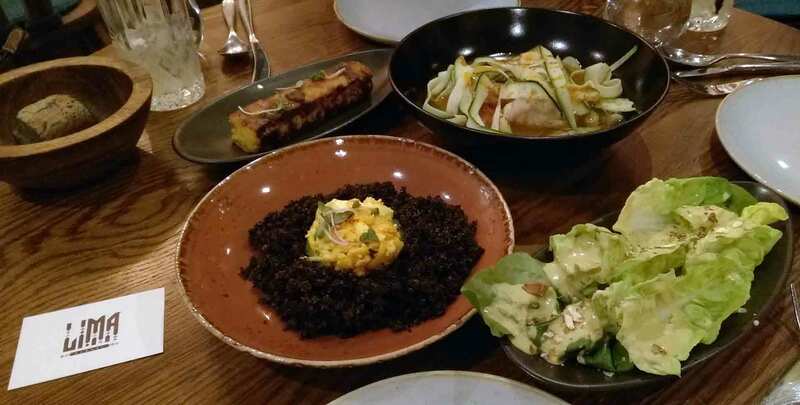 We shared two mains – grilled monkfish and roasted black quinoa with a side of corn cake (and absolute must – it was immense!) and salad. The monkfish, served with yellow chilli peppers, courgette ribbons, heritage tomatoes, yuyo seaweed and green leaves was delicious. The fish itself was perfectly cooked – meaty yet still tender. The courgettes were fresh and with just enough bite.But again I slightly felt that the dish tried to offer too many flavours and some of them just failed to make an appearance. By comparison, the simple combination of black quinoa, egg and avocado worked perfectly together. The quinoa was chaufa style (i.e. cooked in a manner influenced by Peru’s chinese population – hence the delicious sesame flavour). We finished off the meal with chocolate mousse, oat and wood sorrel. Although visually this lacked the finesse of some of the other dishes, this intense mousse was an absolute dream. It was so rich that despite the fact we shared it between three all of us were left satisfied! This entry was posted in eat and tagged Lima, Lima Fitzrova, Lima Floral, London, michelin, One Michelin Star. Bookmark the permalink.